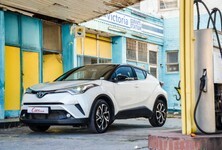 The C-HR is a bold step into the competitive compact crossover segment and it’s undoubtedly an important one for Toyota. 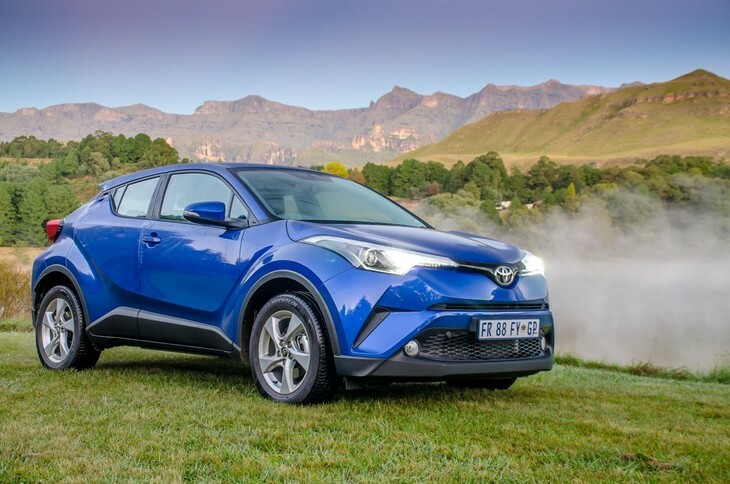 Since its recent local launch at the end of February 2017, the C-HR is finding favour with consumers with encouraging sales recorded in its first 2 months on the market and strong uptake is likely to continue into the foreseeable future. 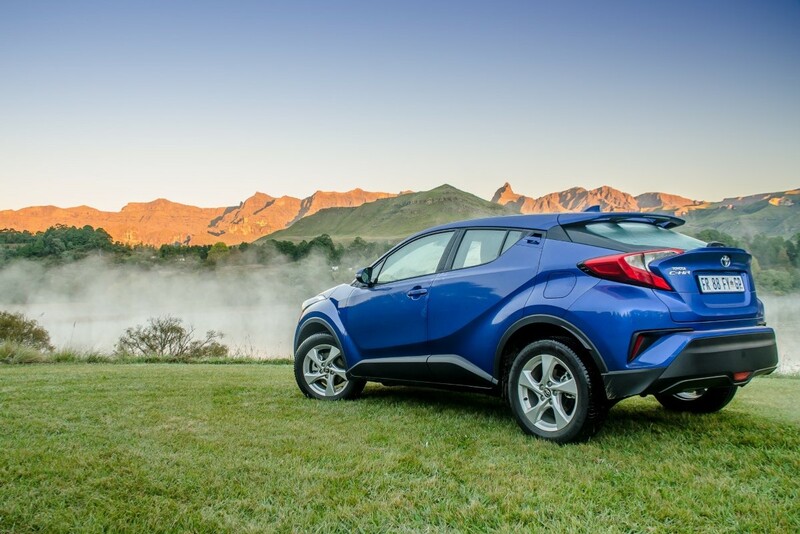 Not the place you would expect to see the Toyota C-HR, but it was more than willing to venture into the wild. 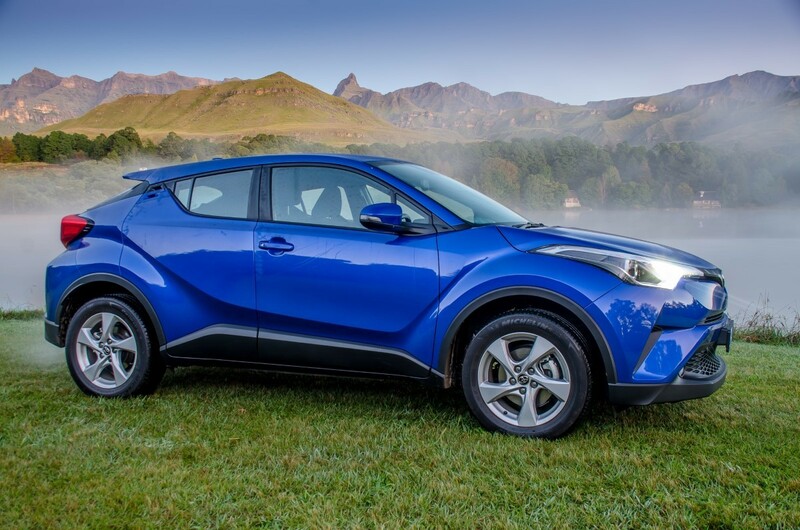 Our journey started in the parking lot of King Shaka International Airport, where my wife and I were met with the friendly smiles of Toyota representatives, who kindly handed over the key fob to a striking C-HR in Cosmic Blue paint. 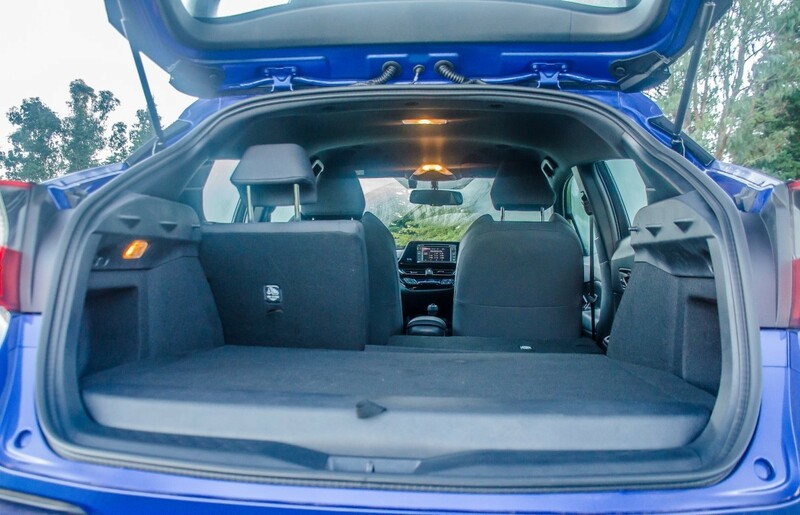 The C-HR's load space is perhaps its biggest drawback, which means families will struggle on a road trip. 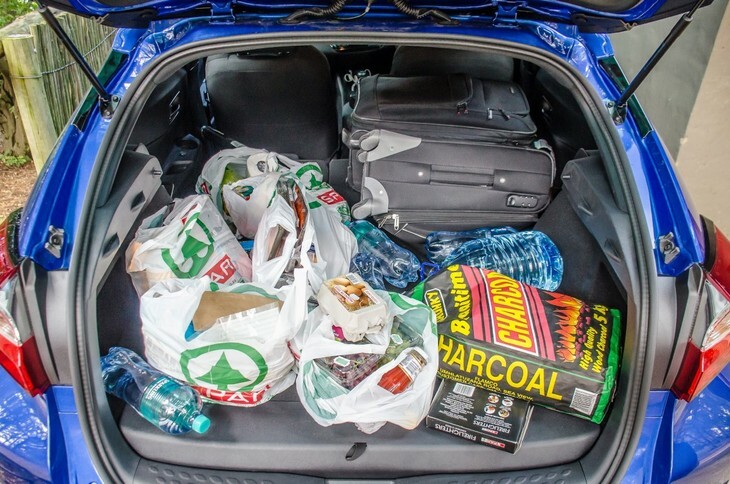 It’s no secret that the C-HR has a painfully shallow and rather small luggage bay, thanks to a full-size spare wheel that steals a considerable amount of space. This was a week-long trip, so we had one large luggage case and a medium-sized case to transport. 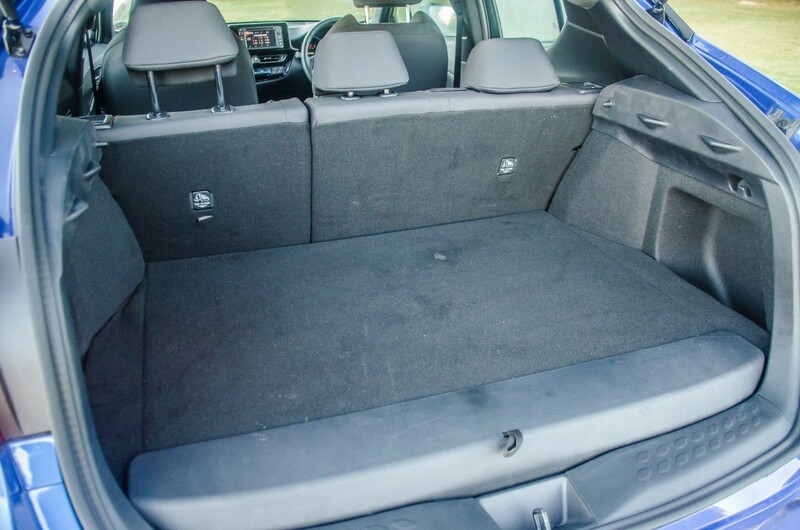 There was no way it would all fit in, so we had to fold the 60:40 split rear seat down to access more space. 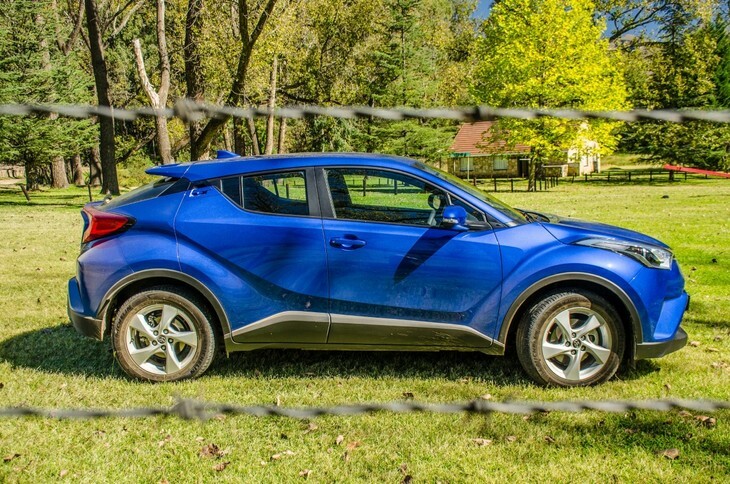 This is a compromise that most, if not all, C-HR owners will have to make on a road trip. More than this, we still had to buy food supplies for at least 5 days! We don’t have kids, but if we did, we would be in a pickle. The C-HR is clearly not a sensible family vehicle, but it has other strengths, as we would discover. 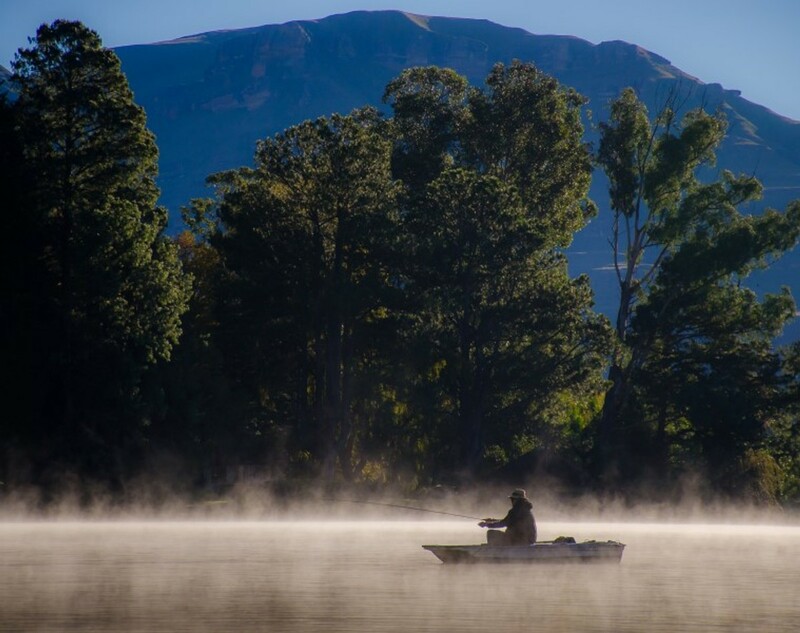 The plan was to drive a big 950 km loop, starting in Durban and settling at Lake Naverone in the Southern Drakensberg for 5 days of fly fishing. We would then work our way down to the South Coast to Port Shepstone, where we would follow the South Coast road/N2 back to Umhlanga, just in time for our return flight back to Cape Town. 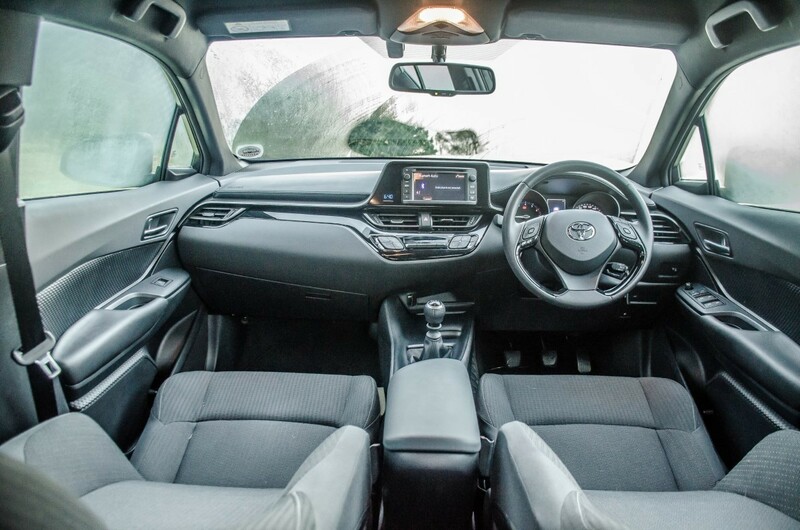 The C-HR's interior design is a pleasant departure from typical Toyota interiors and it's a comfortable place to be while driving. We set off from King Shaka International Airport towards the N3 to Pietermaritzburg. 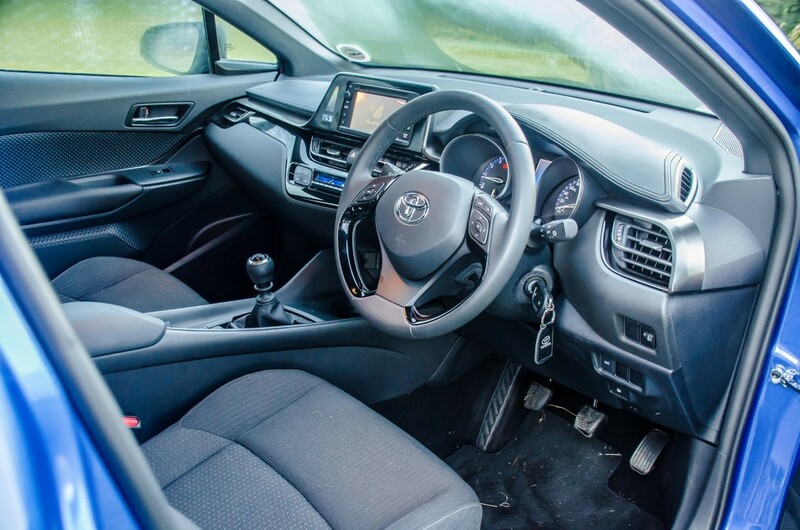 The C-HR’s interior design is refreshing, given that Toyota products generally lack excitement in this regard. 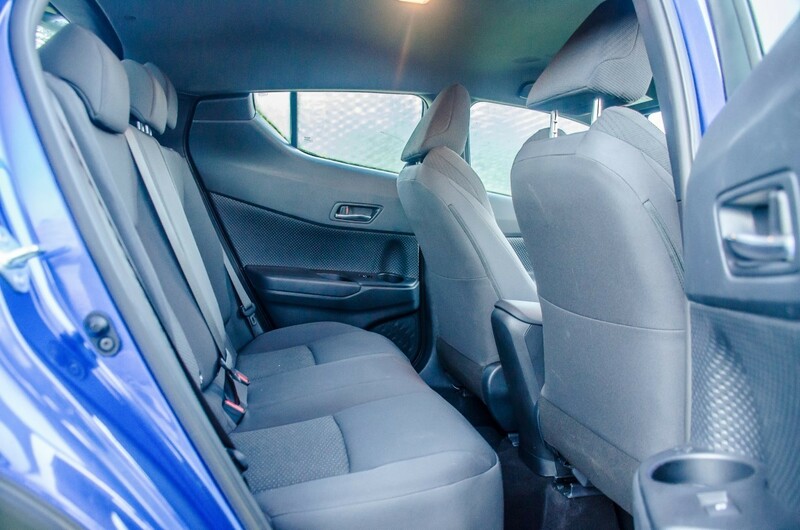 The C-HR’s cabin has a sporty feel to it and it’s well built and sturdy. 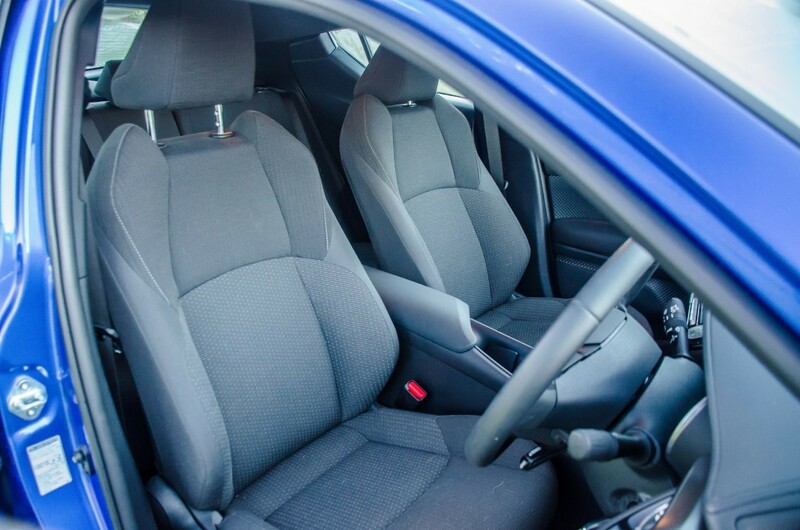 We found the seating to be comfortable and the infotainment system was easy to use, but sadly navigation is not offered. The climate control system also did a superb job at staving off the typically hot and humid climate that so many people love about Durban. 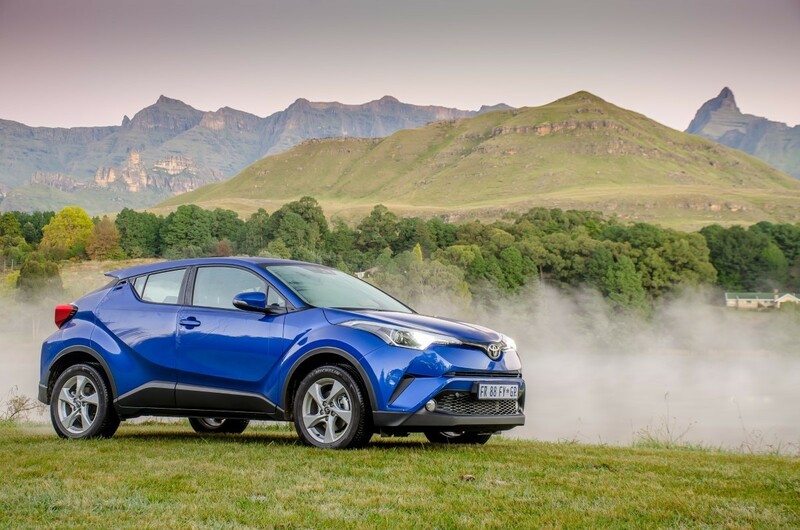 This particular C-HR test unit was equipped with a 6-speed manual transmission tasked with extracting 85 kW and 185 Nm of torque from the turbocharged 1.2-litre engine. It’s a good gearbox and gear changes were positive and smooth. 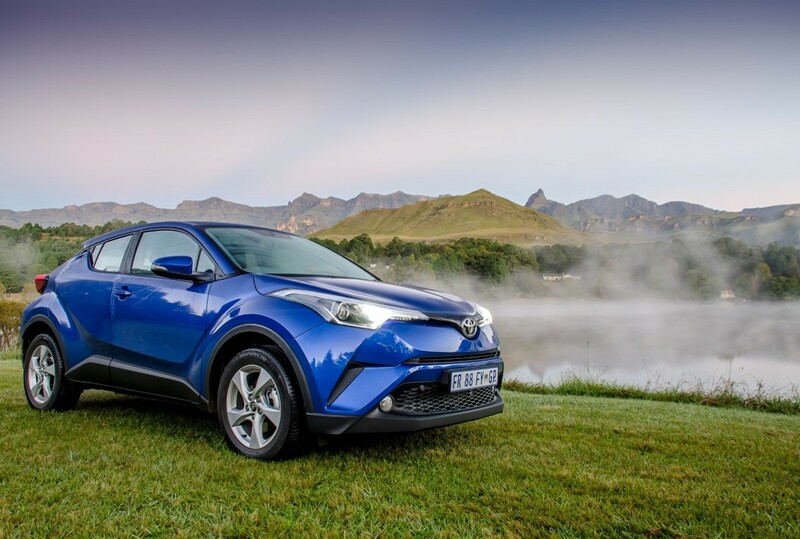 The engine-transmission combination imbues the C-HR with punchy performance when driven hard, but it’s equally pleasing to drive on the chill. 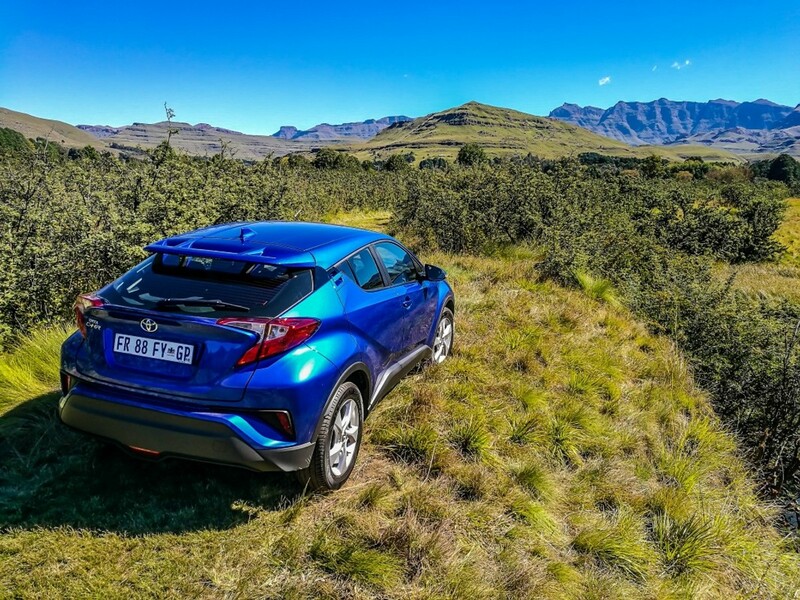 The C-HR is a thrifty performer and it handles winding country roads with a fair degree of agility and nimbleness. 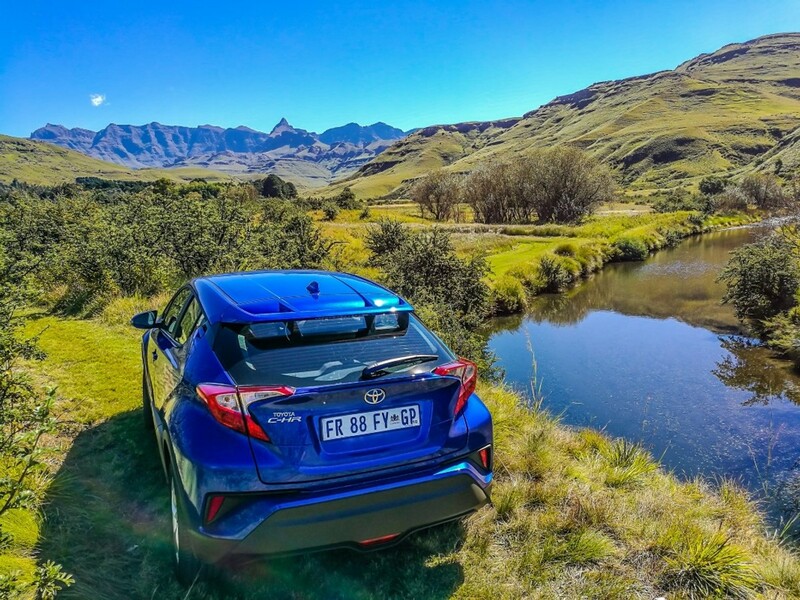 On route to the Southern Drakensberg, twisty roads lay before us and the C-HR’s compliant ride quality and responsive handling came to the fore. 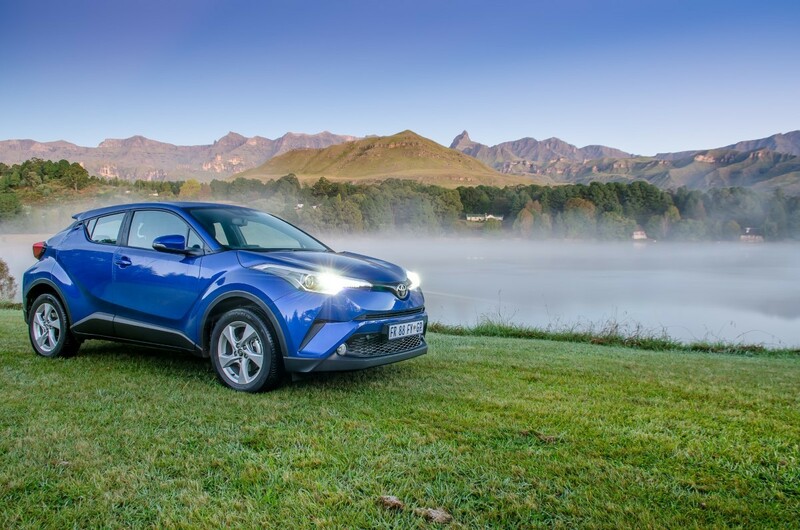 The roads, in general, were of poor quality, yet the C-HR managed to deliver a comfortable and sure-footed ride despite the continuous onslaught of ruts, holes and puckered tar. 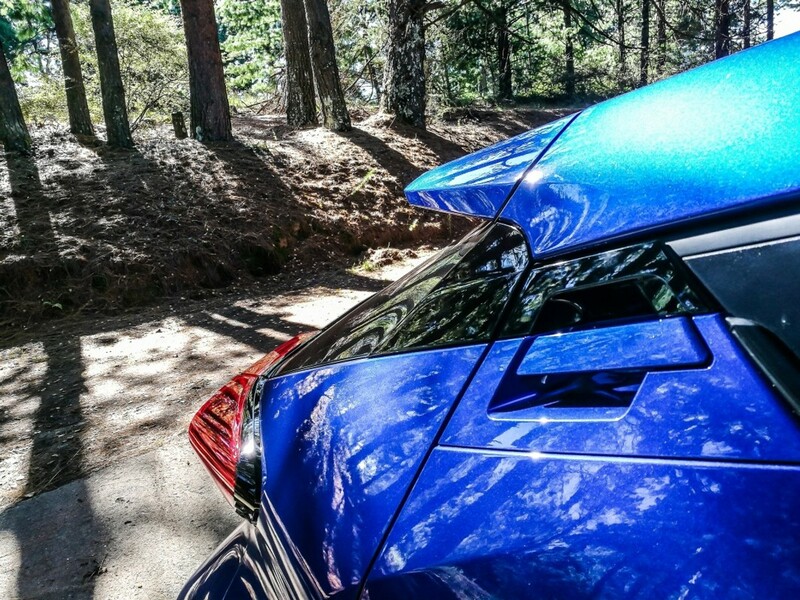 Perhaps the most enjoyable facet of driving the C-HR is indeed its steering response. 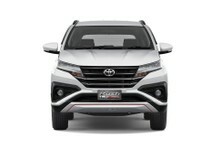 The steering is quick to respond to inputs and it is direct and precise at turn-in. 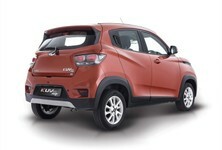 It felt wonderfully nimble through the corners and it turned out to be a blast to drive on these winding country roads. An unfortunate downside to the C-HR’s flashy design is that rearward visibility is poor with the oversize C-pillars creating large blind spots. 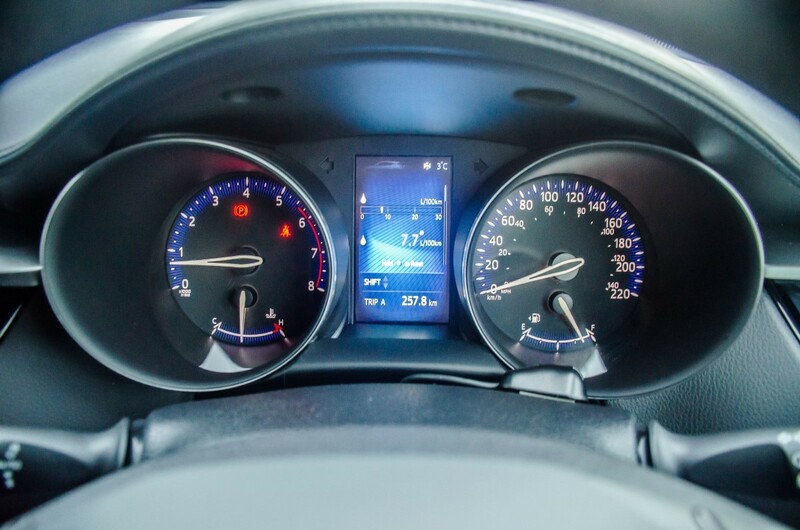 This means that the driver has to be extra alert and vigilant when driving or parking. 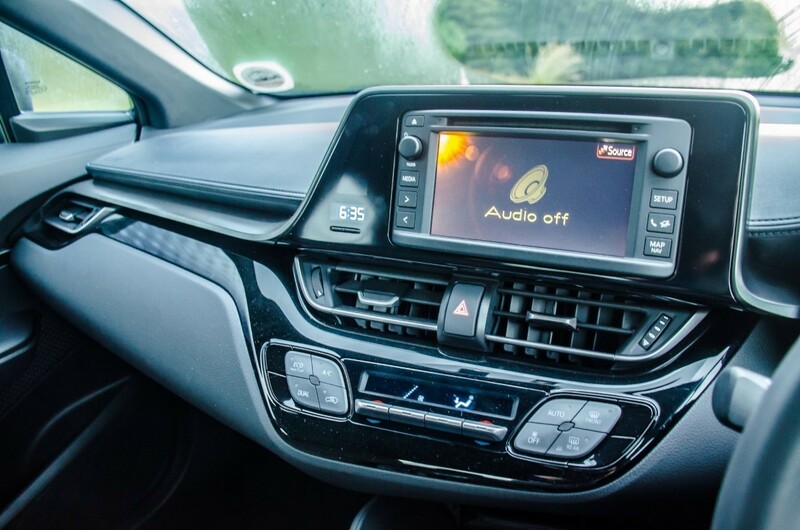 To make matters worse, the C-HR is not equipped with rear parking sensors or a rearview camera, so the driver will have to draw on careful judgment when manoeuvring the C-HR in close-quarter driving situations. 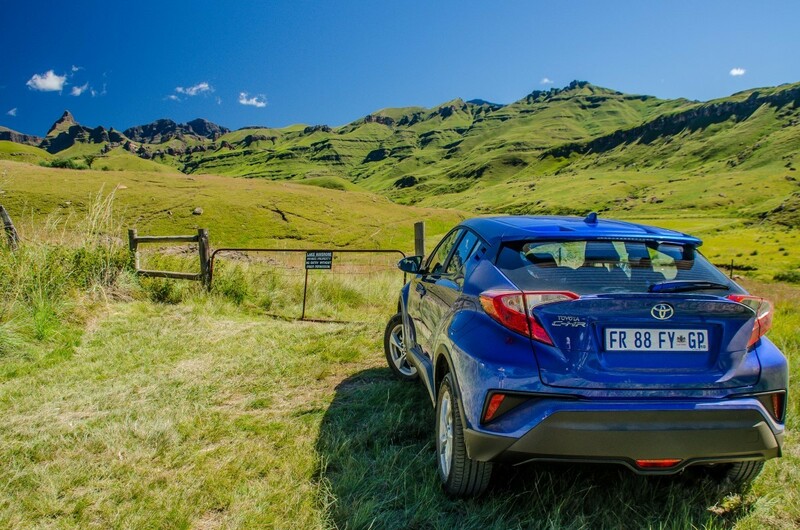 The C-HR performed surprisingly well on dirt roads where it remained relatively composed, delivering good ride quality. Upon arrival at Lake Naverone, we set off into the surrounding wilderness in search of elusive brown and rainbow trout. There are several gravel access roads in the area and we were pleasantly surprised by the C-HR’s good ride quality in the dirt. 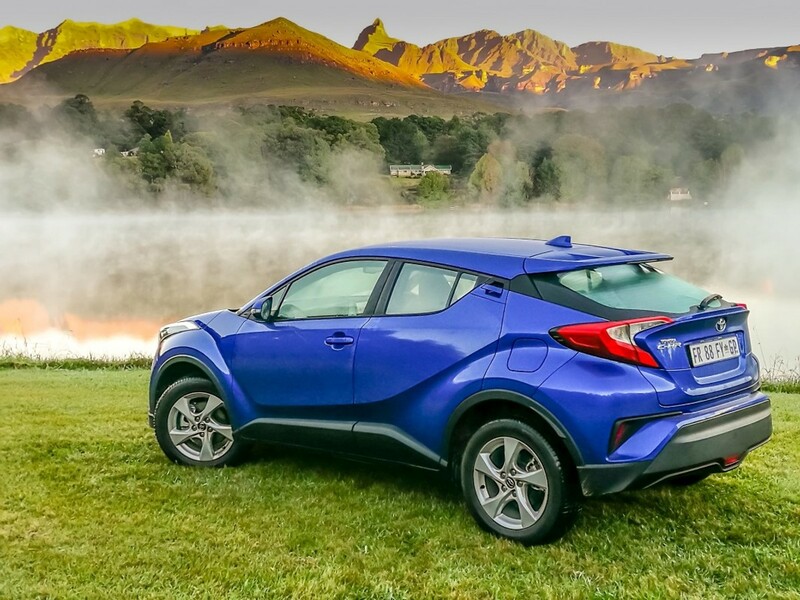 Being a front-wheel drive car, the C-HR is by no means capable of serious off-roading, yet in this environment, it coped reasonably well. Thankfully, the terrain was not as treacherous as the photographs suggest and the adventure unfolded without incident. It was, however, somewhat surreal seeing the C-HR in such a remote location. 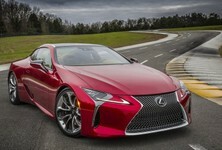 Apart from spending hours behind the wheel of the C-HR, the author spent considerable time trying to catch fish, but it never happened. 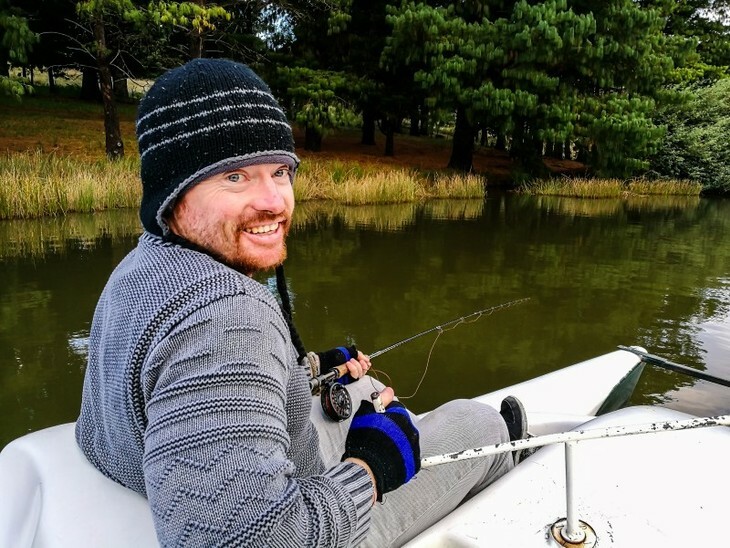 After 5 days of persistent fishing at Lake Naverone and with no fish in the bag, it was time to admit defeat and return back to Durban. The C-HR soothed my bruised ego and when we reached Umhlanga, I decided to go for a surf. 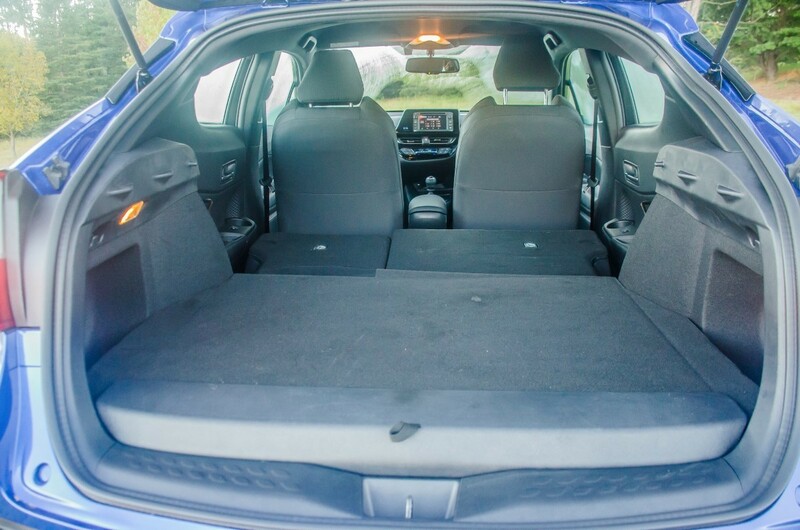 I was doubtful that the C-HR would be able to transport surfboards, but it swallowed not one, but two surfboards, with the rear seats folded down, of course. 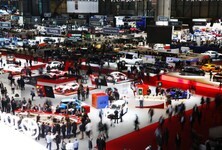 What did we learn about the C-HR? 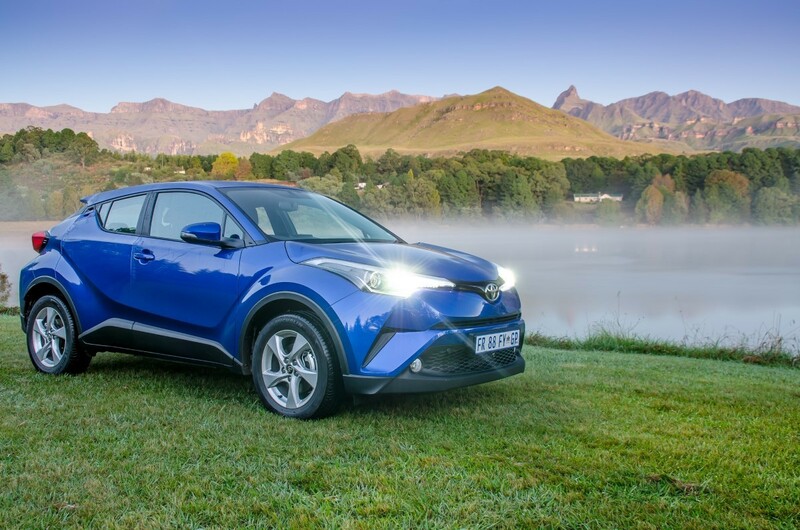 Fun to drive and relatively fuel efficient, the C-HR is worth consideration if you don't have kids and are looking for a stylish crossover. 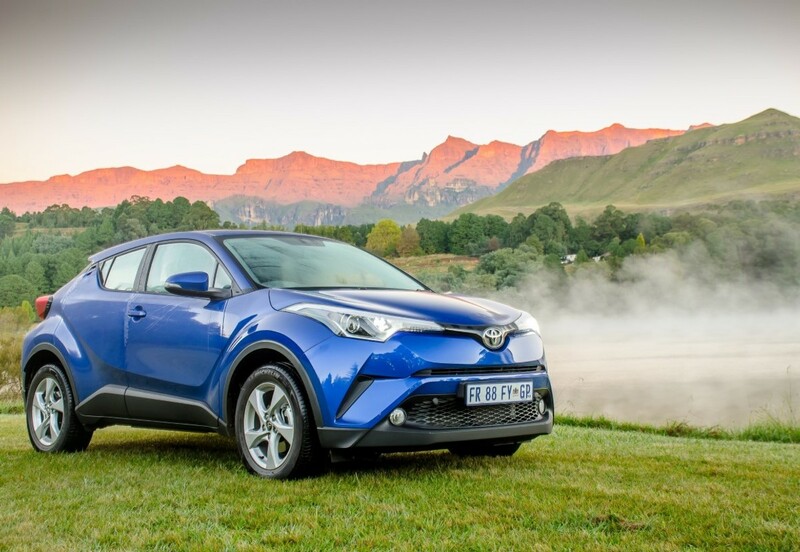 The Toyota C-HR is priced from R318 500, while the high-spec manual derivative featured here is priced from R345 000. 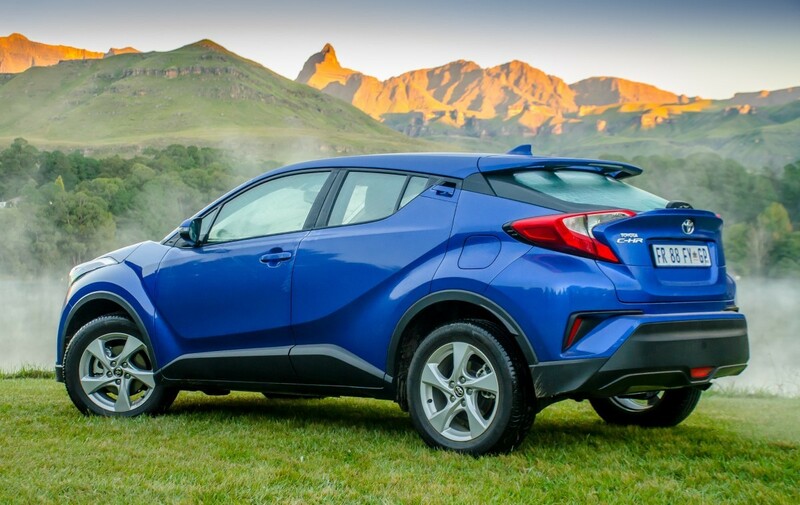 The C-HR 1.2T Plus automatic is priced from R356 000. 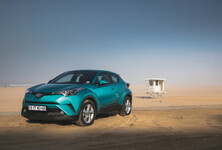 The C-HR is sold with a 3-year/100 000 km warranty and a 5-year/90 000 km service plan. 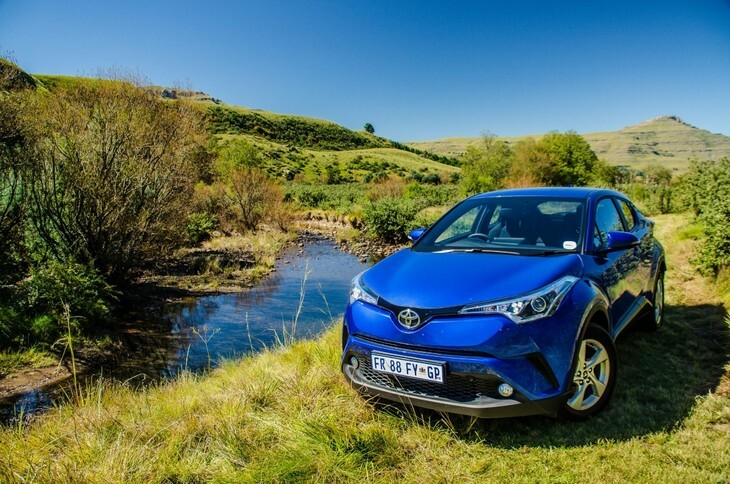 Watch our review video of the Toyota C-HR below! 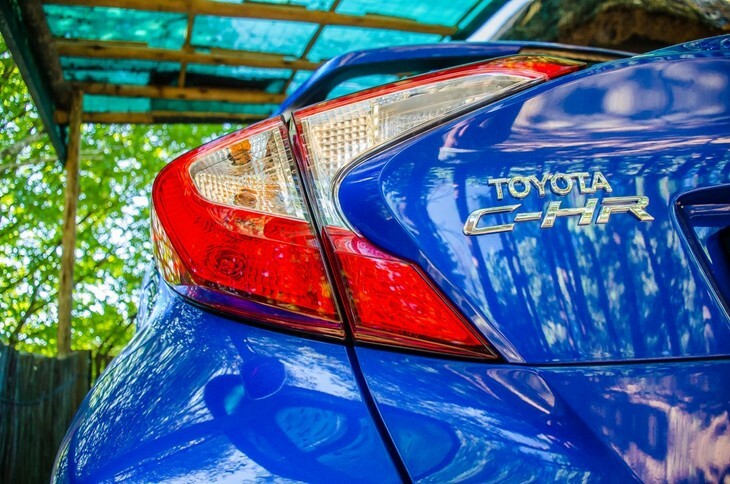 Want to buy a Toyota C-HR?